irma loves life: Happy February 29th! Today is February 29. 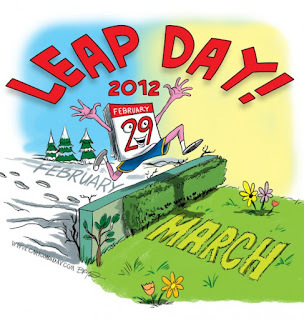 It's a leap day! And I needed to write this entry. Well, four years ago, this blog has not even been born. Four years ago, I was living a completely different life. Jed and I were newlyweds. I was still working at the Canadian Embassy. I definitely had no plans of resigning. I was happy with my life then. Little did I know God has amazing plans for us. Towards the end of 2008, I was suddenly living in Cebu City and unemployed. So many things happened in our four years. We now have our wonderful son, Javi. We are now living in Bangkok, not Cebu. I wouldn't have thought these things would have happened to us since the last February 29. I am excited today. 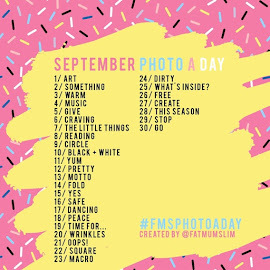 I want to mark this day by doing something special. Too bad Jed is at work. It'll only be me and my little boy. I was inspired by the suggestions from Fat Mum Slim over at her blog. We definitely will wear something nice when we go out today. We will eat somewhere nice and not our usual McDonald's or Burger King for dinner. How was life for you since the last leap day? What special thing are you going to do today? Hi Irma. God has been so good to you and your family. Continue to honor God by fulfilling your special role as a wife to Jed and as a mother to Javi-which is one of the best experiences in your so called life. Everyday is a gift but yes, today is special. Enjoy! Thank you so much, Oyeen! God has been so good to us and to you, too! Miss you and Bem. Yes, I read it, too. Let's keep on inspiring and encouraging each other.